We build a powerful loyalty and engagement solutions based on strong technology foundations. Social Media Our platform has integrations with the main social networks in order to keep our platform connected, synced and ready to track, measure and learn from user’s social media interactions. Gamification Our platform has a Gamification Layer that includes: level, points, motivation elements, scarcity elements and a whole set of different games and journeys in order to boost engagement and maximize business metrics through Gamification strategies. Loyalty Our platform has a strong Loyalty foundation, on top of that it is build in a way that enables an easy and automated management. Our technology handles everything from stock, to order management, automated communications, loyalty rules and much more. Without human work. Our platform gathers a ton of insight due the constant interaction with users through social media networks, actions and more. 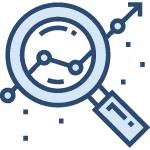 We gather all the data transform it into actionable insights and information that can be used in other marketing actions, business strategies and competitive advantages. We move data into actionable suggestions and smart actions that allow our platform and clients to make smarter decisions in less time in autopilot. 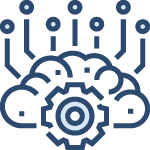 We are continuously applying Machine Learning and Artificial Intelligence into our platform in order to increase efficiency, personalization and precision in any action what we perform through the platform.